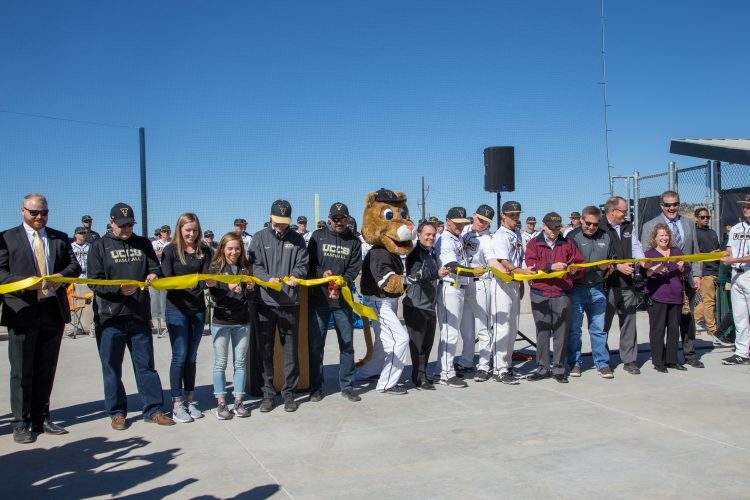 Sunny skies and warm temperatures complimented the excitement from nearly 400 campus and community leaders, fans, construction personnel and donors for the opening ceremonies of Mountain Lion Park March 2. The UCCS baseball team christened its new on-campus home with a 16-9 victory against Regis University in the first game of the Rocky Mountain Athletic Conference season. Nathan Gibson, executive director, Athletics, led a tour of the facility before a community tailgate at 12:30 p.m. Ribbon-cutting and first pitch ceremonies opened the facility with representatives from UCCS, CU, City of Colorado Springs and El Paso County. UCCS outfielder Scott Martinez hit the first home run in the park in the bottom of the third inning in his first hit to an eventual cycle. He hit double in the third, a single in the fifth and a triple in the sixth for the second cycle in program history. Martinez and Hall scored three runs each. Colin Cicere earned the victory with a four and one-third inning start. 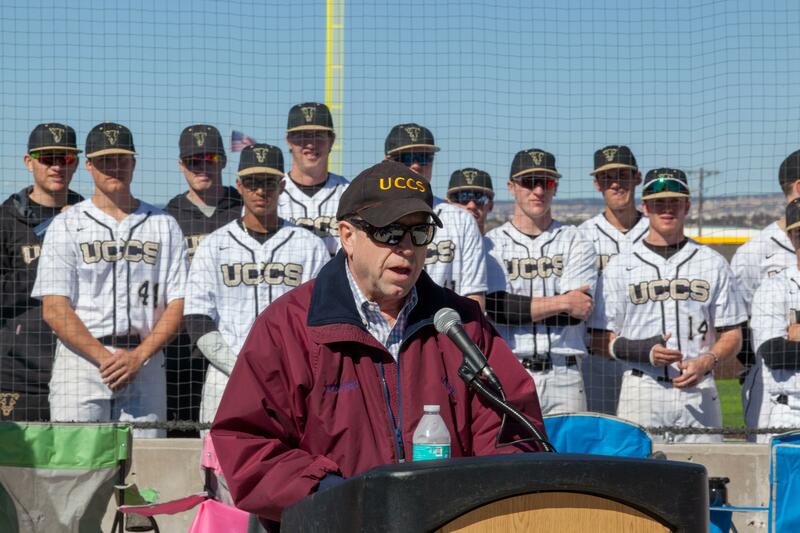 UCCS won the series 3-1 with a doubleheader split on March 3 and a 6-5 win on March 4. 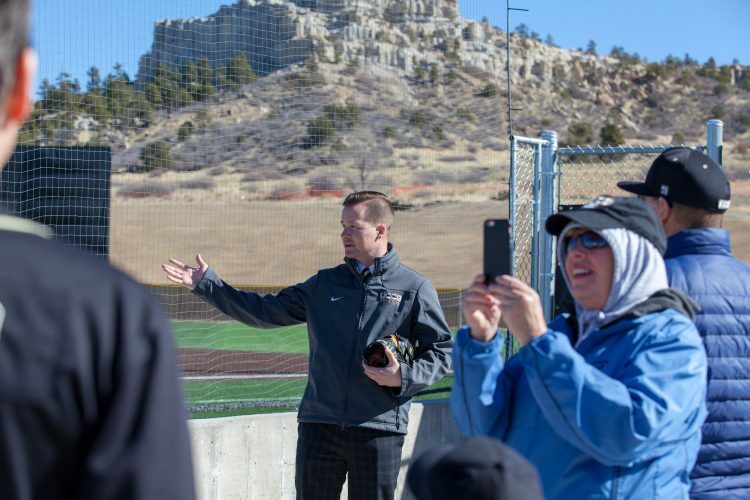 Nathan Gibson, executive director, Athletics, leads a facility tour on the morning of March 2. View of Pulpit Rock from home plate. 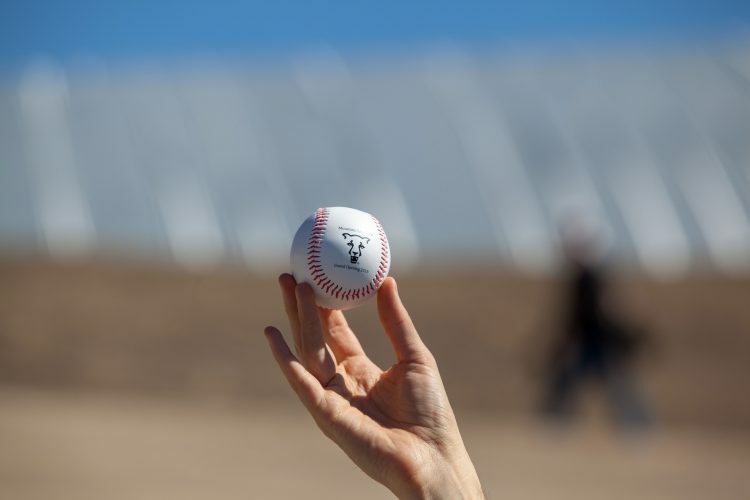 Commemorative baseballs were given to fans to celebrate the grand opening. 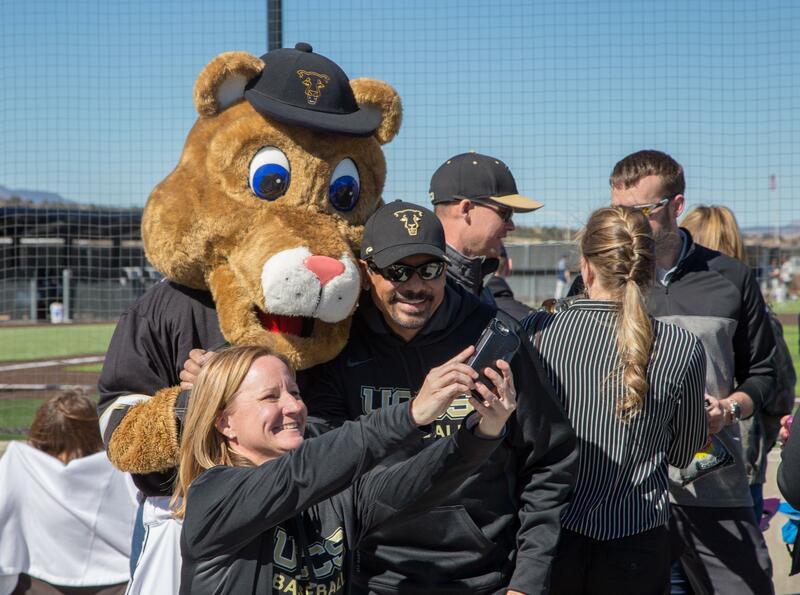 Corrie West, associate director, development, takes a selfie with Clyde, the UCCS mascot, and Chancellor Venkat Reddy. 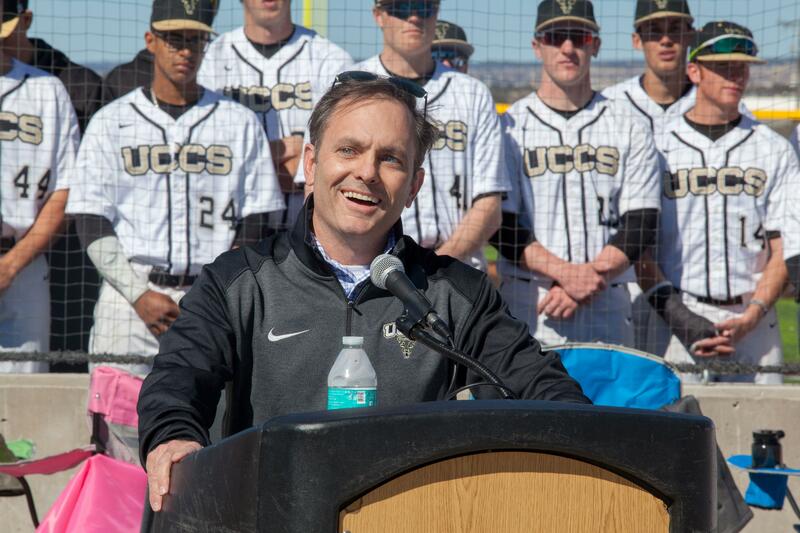 CU Regent Kyle Hybl speaks before the ribbon cutting ceremony for Mountain Lion Park. Colorado Springs Mayor John Suthers speaks before the ribbon cutting ceremony for Mountain Lion Park. The ceremonial first pitches, from left to right: Martin Wood, vice chancellor, Advancement; John Suthers, mayor, Colorado Springs; Kyle Hybl, regent, University of Colorado, Venkat Reddy, chancellor, UCCS; Sentwali Bakari, vice chancellor; UCCS; Mark Waller, district 2 commissioner, El Paso County; Nathan Gibson, executive director, UCCS Athletics; Dave Hajek, head coach, UCCS baseball. The teams and fans stand during the National Anthem before the start of the first game at Mountain Lion Park. 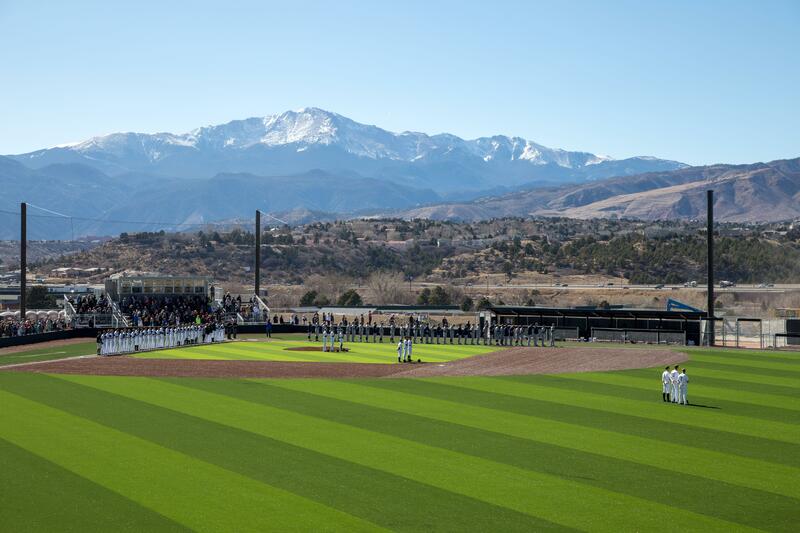 What a beautiful view and great ballpark, I’ll have to daytrip on down from CU Boulder to catch a game this season. Go Mountain Lions! 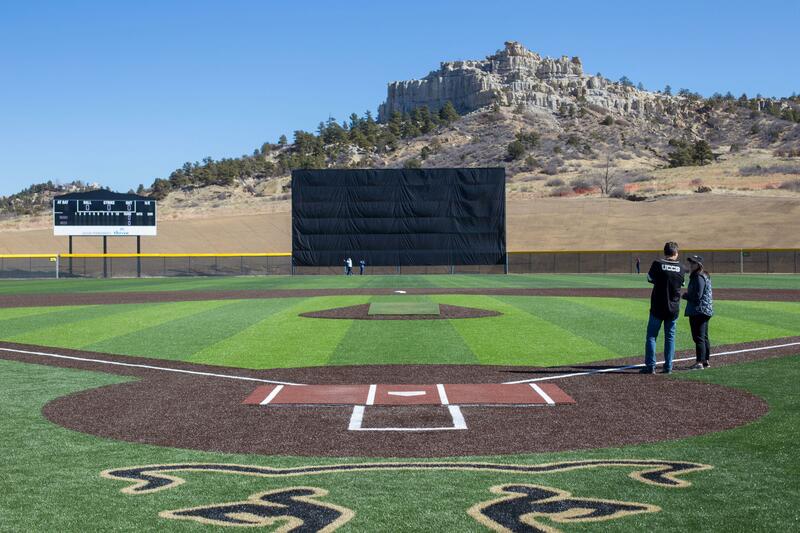 beautiful park, looking forward to catching a game there. But please tell me there are more seating than behind home plate. There is seating for about 350 spectators. It also has a low backstop and open areas so fans can bring lawn chairs for the area between the press box and dug outs, if they prefer. Where can I find a current schedule? Hi Susan. 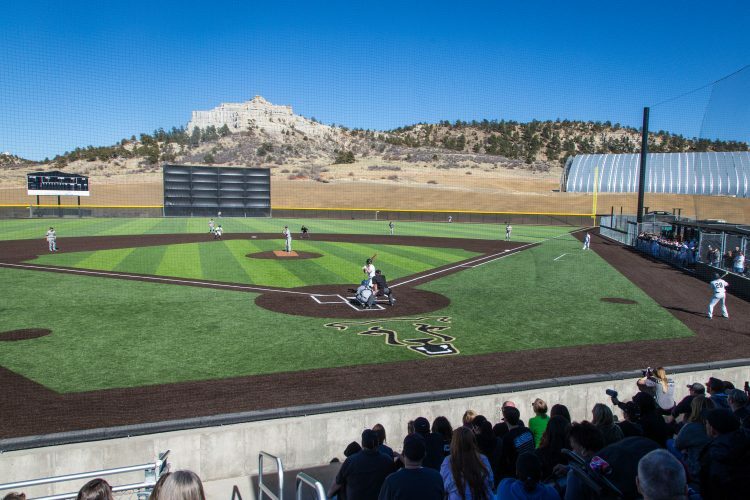 The current schedule for the baseball team can be found at http://gomountainlions.com/schedule.aspx?path=base. I went to Durango, CA a few years ago. Been telling my wife I know where I want to retire ever since. I love everything about CO. Thanks for the post and keep moving forward. Dave.